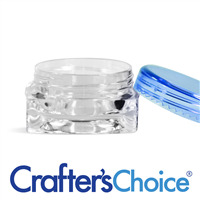 COMMENTS: This little jar is so cute and looks professional when I give a sample. I was able to find a small round label that fits the top and bottom. I have bought these several times. • The color and upscale look. • Great size for samples. 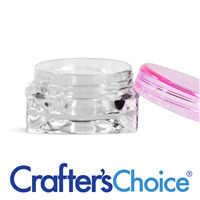 "3 ml Clear Square Jar with Pink Top"
"Fantastic Trial Size Jar for Lotions and Lip Balms"
COMMENTS: Getting started with your own lip balms and body lotions means you need to get your product out there and tried by as many people as possible. These little jars can make quite a statement not only about you, but about your products, without a large loss of profit. They are perfect little gifts. They are the perfect size to try a lotion or balm without committing to a large purchase they may not like. Win win for purchaser and creator! 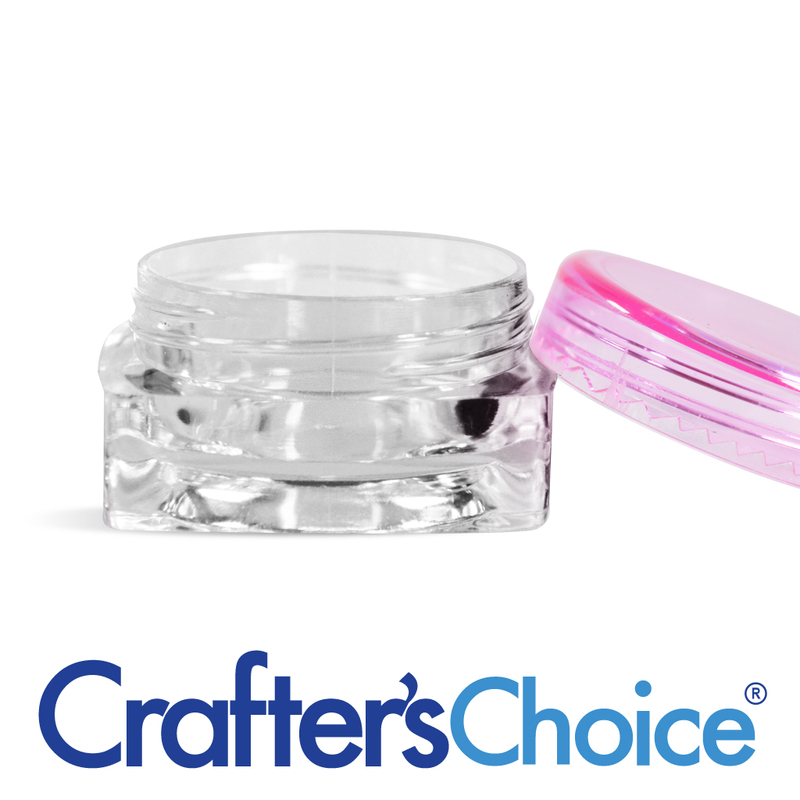 COMMENTS: I get so many compliments on these lip balm jars! They're petite and classy, and easy to keep in your pocket! 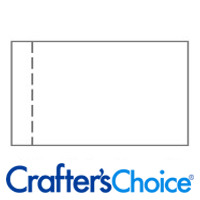 For those interested, use a 3/4" round label to apply your ingredients label on the bottom. Works great! COMMENTS: I have quite a few of these jars with the different colored tops. I love them for free samples! The amount is just enough to get an idea of the product, but not too much that you break the bank giving them away. 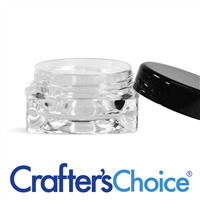 The wide mouth makes it easy for the customer to get the product out, and easy to fill! COMMENTS: Used this cute little jar for body glitter! Customers love the cute pink cap! I made this a few years ago and used a flip top cap. The pink is so much prettier and marketable!!!! 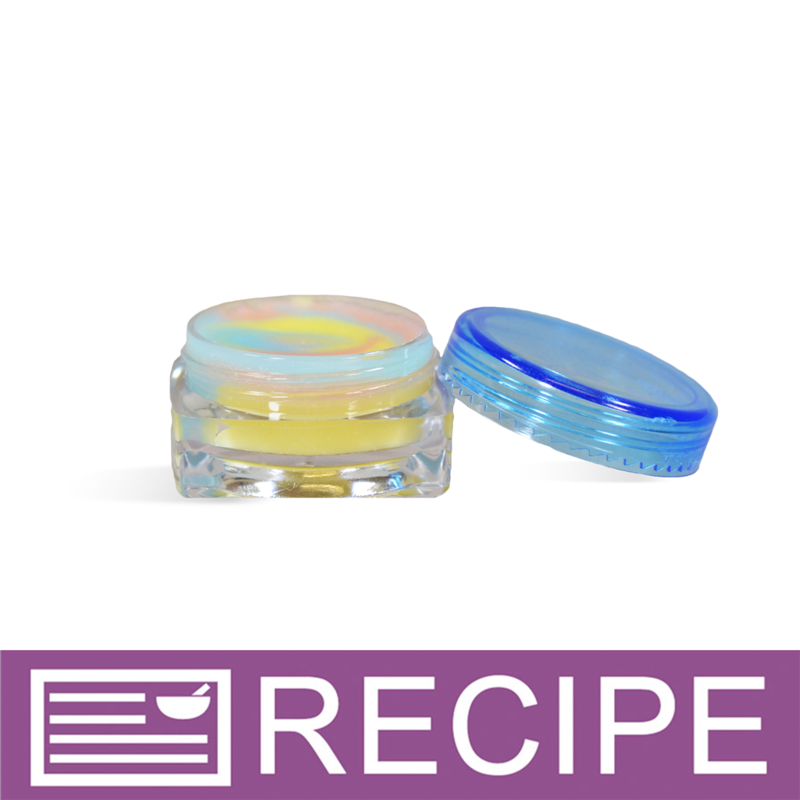 "Hello, I want to put liquid face serum in this jar to sell or use the 1 ounce jars as maybe this one maybe too small. In any case, I would still use this jar for giving away cream samples. But I am more curious if it leaks if I put liquid into it. The serum is liquid. I do not wish to use a bottle for the serum. Will this jar leak? If it does leak, can you then advise which jar is leak proof? Thank you very much." Staff Answer This 3 ml jar may leak with a liquid. Any of the small jars with a screw top should work: 1/4, 1/3 or 1/2 oz. jars. You do need to test your product in any packaging you purchase. "Do you have sifters for this jar ?" Staff Answer At this time, we do not offer sifters for these jars.